Spain is known for its sunshine, beaches, tapas and wines. These are the main reasons for why many people visit the country. Nothing wrong with that of course, but Spain is also very good at something else; ¡FIESTA! No other country does street festivals better than the Spaniards. That’s why we’ve summed up five of the best ones for you! Every year from the 6th to the 13th of July, Pamplona hosts the infamous San Fermin festival, better known as the Running of the Bulls. The festival has been popular among outsiders ever since Ernest Hemingway wrote his famous book The Sun Also Rises about the festival back in 1925. Every year, over a million people visit this festival to party and dance in the streets of Pamplona. The actual bull run only takes five minutes per day, and year over year the emphasis of the festival is shifting more towards the cultural aspects and away from the bulls. Nowadays, people mainly come to celebrate in the packed, narrow streets of Pamplona. Marching bands wind through the crowds, bright fireworks light up the sky above the city, and a giant fair satisfies the thrill seekers’ thirst for adrenaline. Every year, San Fermin gets more awesome (and popular) with the help of events like Stoked in the Park adding to the cultural experience of the festival. 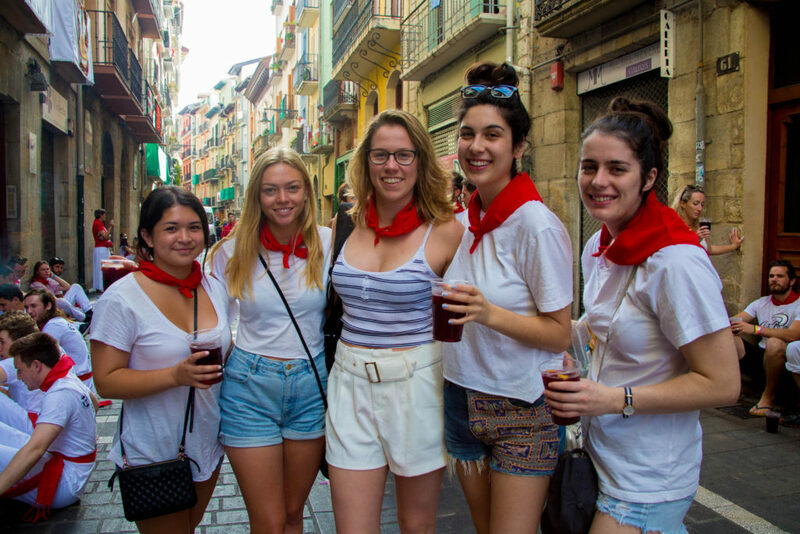 In other words, San Fermin is so much more than just the running of the bulls! Who doesn’t like wine? What about a good water fight on a hot summer day? For fans of both, San Vino is the perfect festival for you! Better known as the Wine Fight of Haro, San Vino is held every year on the 29th of June with festivities before and after. Back in the 13th century, the people of Haro had to mark their territory from their neighbours. This went peacefully for several hundred years, but somewhere in the 17th century, people started throwing wine at each other and a tradition was born. The day starts early with a procession to the cliffs of Bilibio, led by the town’s mayor. 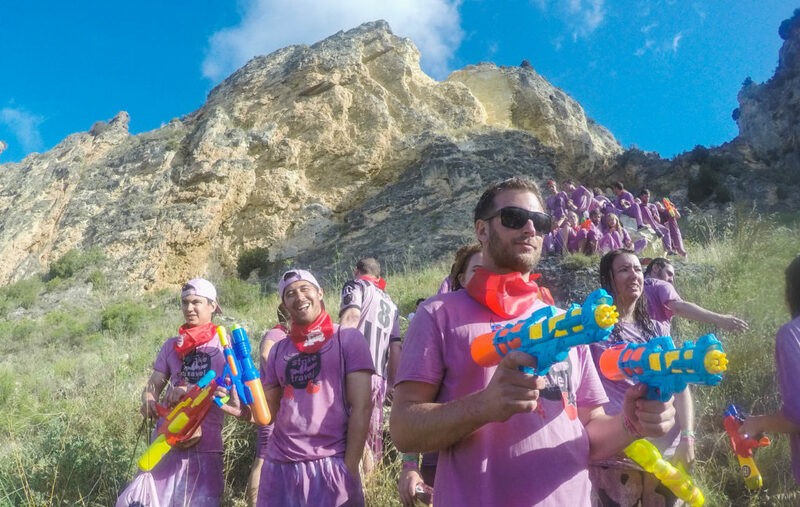 After holding mass on the cliffs, the battle begins and the hills of Haro turn into a massive free-for-all wine fight where no one is safe from the delicious red stuff. After the fight, everyone heads back to the town’s main square to continue the celebration with eating, dancing and, naturally, drinking more wine! This might be the most famous food fight in the world, definitely in Spain. It’s held every year in the town of Buñol, which is located just west of beautiful Valencia. It all started back in 1945 when two over-eager young men decided to join in on a parade, accidentally knocking somebody down in the process. This started a bit of a brawl, and soon a vegetable stall fell victim when people started throwing tomatoes at each other. Nowadays, the fight starts in the early morning after somebody has retrieved the ceremonial ham from the top of a greased pole (unless it takes too long and people get impatient). Then, the signal is given and trucks ride into town to start offloading tons of pulpy ammunition into the crowd. An hour later, the streets of Buñol transform into the world’s largest pot of bolognese and participants get hosed down by the locals. 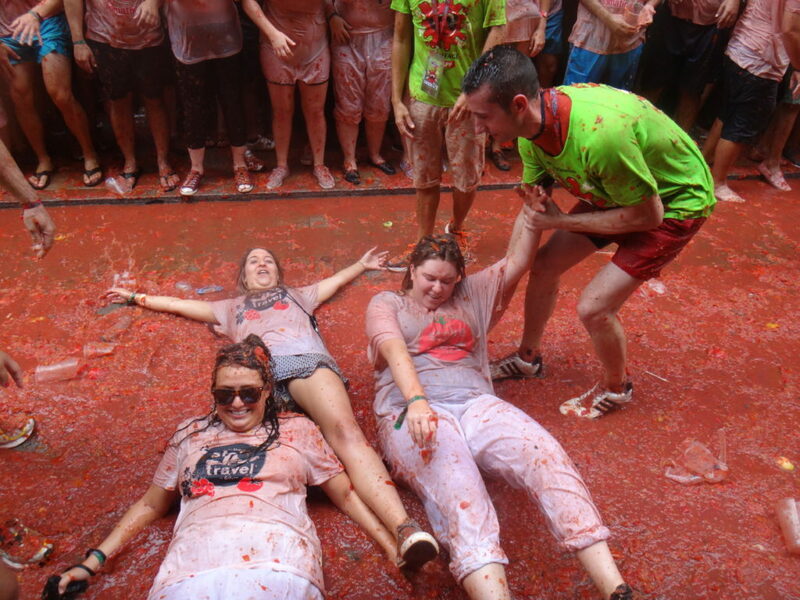 Just like the Wine Fight, La Tomatina is surrounded by festivities before and after the “fight”, like a water & wine fight the night before and a massive after-party following the battle. 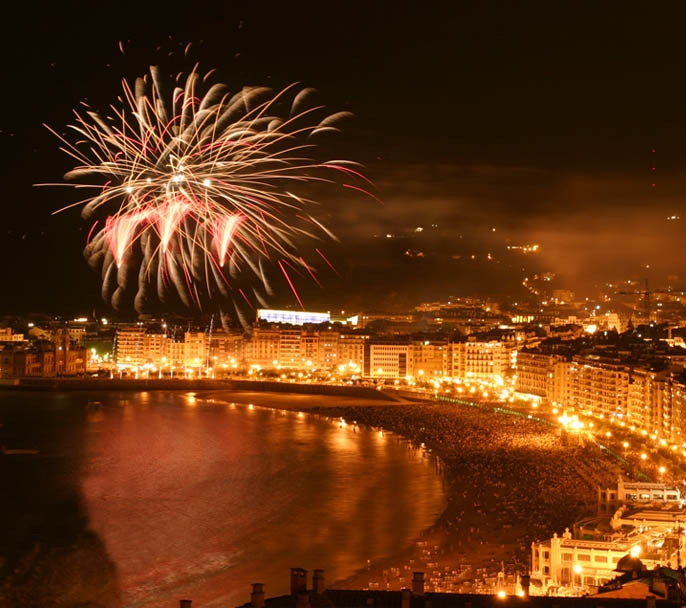 San Sebastian’s big week, or as they call it in the Basque country, The Aste Nagusia Festival, is held from the 12th to the 19th of August. It kicks off in the evening of with a cannon being shot from the town hall while locals sing the Artillero. The kickoff is then followed by a week of festivities in this beautiful Basque city. Activities such as concerts, food competitions, and Basque dance and sports exhibitions are numerous and honeycombed around the city. The most spectacular event is by far the jaw-dropping international firework competition that takes place on La Concha Beach. Semana Grande is the ideal opportunity to experience Basque culture and indulge in all that it has to offer. And if you want to get a bit more active (or just nurse that hangover on the beach) the region around San Sebastian is legendary for its surfing. The varying beaches offer waves for people of all levels, so even beginners can enjoy the San Sebastian swells. The San Juan festival is held on the 23rd of June this year, and marks the start of summer. It’s the longest day and the shortest night of the year, and Catalans are pretty serious about celebrating this occasion. On the evening of the 23rd, people start gathering on the beaches of Barcelona . When night falls, the beach is lit up by bonfires and firecrackers and people dance and party until the early hours of morning. If you’re not much of a beach person, check out the local barrios (neighbourhoods) to find a variety of shows on display in squares throughout the city. If you want to be close to the action, there are some good accommodation options near the beach, and the beach bars also provide drinks and snacks to the partiers (though San Juan is typically BYOB). Exclusively for our Expat Republic readers we have a special promo code “YOLO”, which will give you freebies when booking any of the tips mentioned above!